The OnePlus 6 was officially announced in London. The handset features a 19:9 AMOLED display, Snapdragon 845, dual cameras. 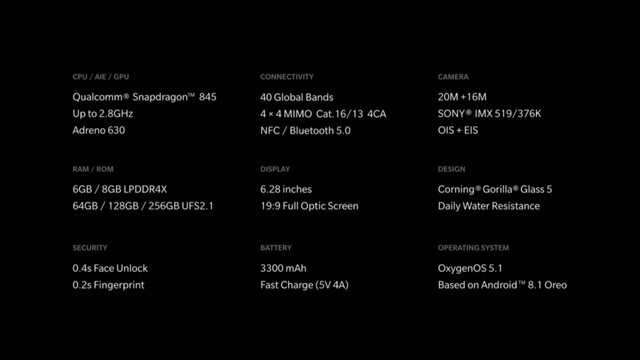 OnePlus’ goal has always been to provide a flagship experience at a fraction of the cost. 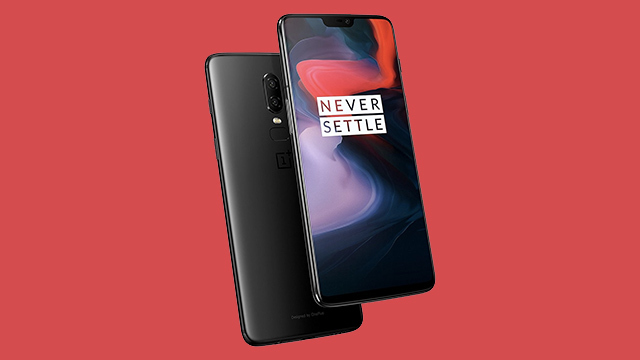 The newly launched OnePlus 6 is no different. The handset promises “the speed you need,” top of the line specs, and a pocket friendly price. 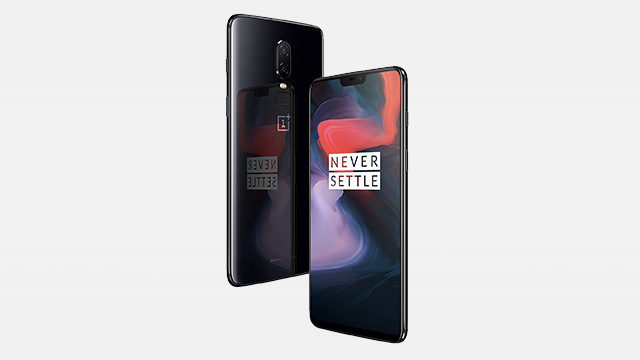 The OnePlus 6 comes with a 6.28-inch full HD+ AMOLED display. It has a 2280 by 1080 resolution and a 19:9 ratio, topped by Corning Gorilla Glass 5. It also comes with a notch which houses the selfie camera, the earpiece, and some sensors. Users have the option of hiding it via a black bar that runs across at the top (like in the Huawei P20 and P20 Pro). The handset features a glass front and back build, and a metal frame. Wireless charging is conspicuously missing despite the glass back. But there is a 3.5mm audio jack, though, and the OnePlus-staple alert slider. Water resistance is also added, despite not declaring any standard certification. According to the company’s description, it should be similar to IP54. 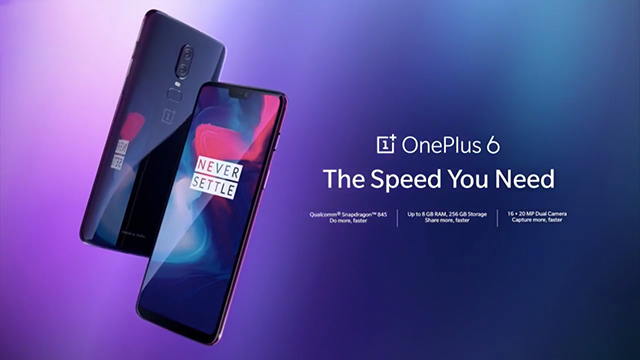 During the launch, OnePlus once again emphasized the importance of speed (their slogan is “the speed you need” after all). To support that, the handset comes with Qualcomm Snapdragon 845 processor paired with an Adreno 630 graphics chip, up to 8GB RAM, and up to 256GB UFS 2.1 storage. As for the cameras, the flagship boasts a dual 16MP + 20MP cameras, supported by OIS and EIS. The phone uses Sony IMX 519 sensor for the former, and a Sony IMX 376K monochrome sensor for the latter. The front camera has a 16MP sensor, complete with AI assist and enhancements. 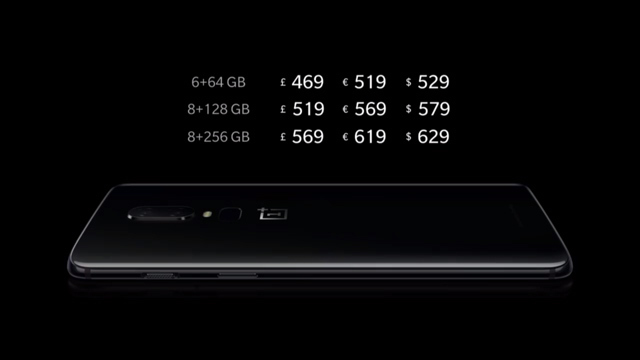 The OnePlus 6 will have a suggested retail price of USD 529 (around PHP 28,000) for the 6GB/64GB, USD 579 (PHP 30,200) for the 8GB/128GB, and USD 629 (PHP 36,000) for the 8GB/256GB. The reflective Mirror Black and matte Midnight Black colors will be available in the UK starting May 22, 2018, with the Silk White limited edition color on June 5. There’s no news yet if it will be available in the Philippines. Digital Walker is the official distributor of OnePlus in the country.